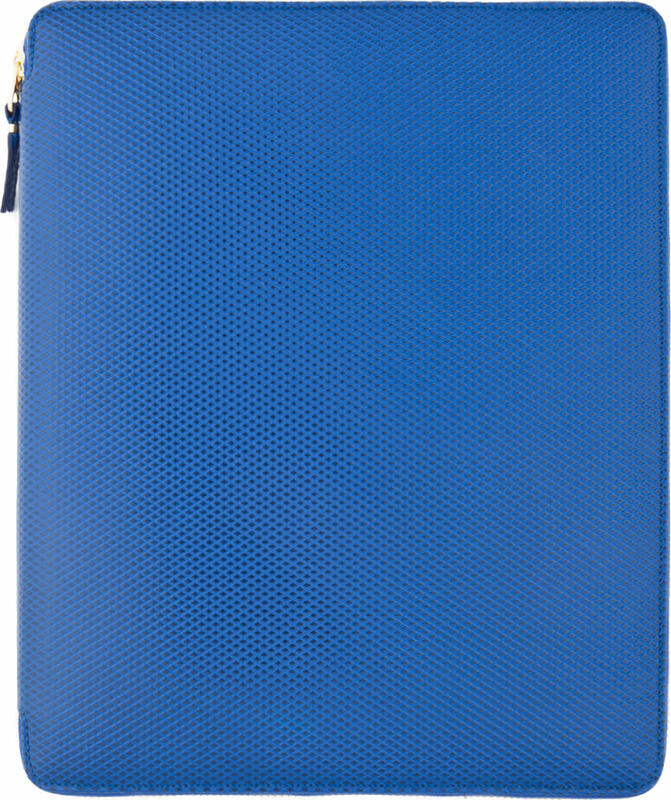 Textured leather iPad case in blue. Embossed crisscross pattern at front and back. Exposed zip-around closure. Interior iPad pocket, card slots, document pouches and gold tone logo stamp. Tone on tone stitching. Fits approx. 11 x 9.25 iPad.